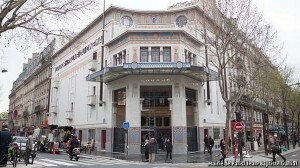 THE Louxor Palais du Cinema, north-west of the Gare du Nord in Paris, was once one of the jewels of Egyptian-inspired art deco. It opened in 1921 boasting pillars, papyrus motifs and pharaohs’ heads—to say nothing of a hall seating almost 1,200 film-goers. It was the heyday of silent films of the sort that “The Artist” recently brought back to life. 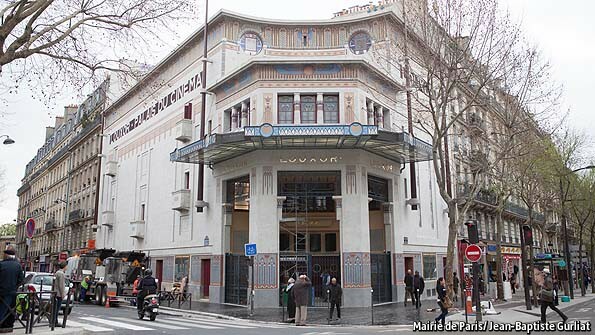 Parisians thronged to the Louxor, cigarettes in hand, to see the hair-gelled heart-throbs and hear the live orchestra that accompanied them.